MOSCOW (Sputnik) - The number of entries of undocumented migrants from the Nordic countries to Germany increased 35 percent year-on-year in January-October 2017, local media reported Sunday. The German Federal Police has registered 2,269 illegal entries from Finland, Norway, Sweden and Denmark during the first 10 months of 2017 compared to just 1,674 in January-October 2016, the Welt am Sonntag newspaper reported, citing a response from the Federal Ministry of the Interior to its query. 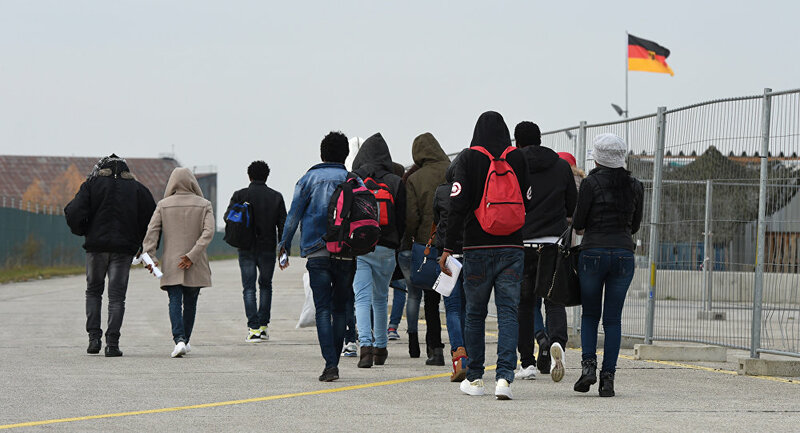 Of these, 1,455 came to Germany over the land border to Denmark between January and October 2017, compared to 996 a year earlier. The remaining migrants came from Scandinavia by sea. The immigrants are mainly Afghan, Iraqi and Syrian nationals seeking asylum, the newspaper noted. It added that not all entries might have been registered, and the numbers did not include entries recorded by the police of the federal states. Many migrants arrive in Germany without being picked up by the federal police and only appear in the statistics when they apply for asylum. In recent years, the European Union has been facing acute migration crisis, with thousands of refugees and migrants coming to Europe in the hope to flee poverty and conflict in their home countries.